Signed on an 'S' form in November 1978 and professionally two years later, Dave was a versatile defender who played as a regular in the second eleven over the next three seasons. In May 1982, he was with the Scotland Under-18 squad that won the European Championship in Finland, and later appeared at under-21 level. 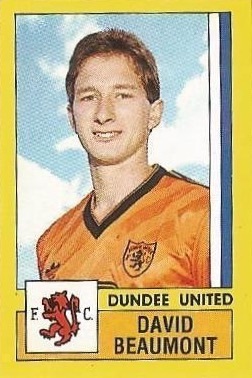 Having first appeared in the first team in a friendly against Clyde in July 1981, he made his competitive debut as a substitute against Morton in a League Cup tie in October 1983. 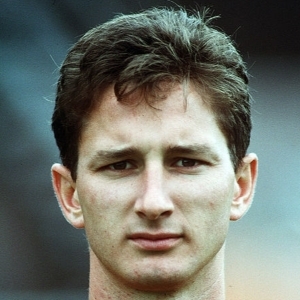 David was frequently in the first eleven over the next five years, but found it hard to get a regular spot in a defence with a back four of Malpas, Gough, Hegarty and Narey. He was used as cover for all four, and appeared as a defensive midfielder occasionally. With the departure of Gough in 1986, and a combination of a long term injury to Hegarty and squad rotation during a gruelling schedule, Dave made around 40 appearances during the 1986-87 season as United reached the UEFA Cup final, where he collected a runners up medal after appearing in the first leg in Gothenburg as a substitute. His career at United ended in January 1989 when he was transferred to Luton Town for a fee reported at £150,000. He spent four seasons at Luton Town, collecting a runners-up medal in the Littlewoods League Cup final in 1989. He moved back to Scotland with Hibs and was an unused substitute when the Edinburgh side won the League Cup in 1991 and also when Hibs were runners-up two years later. Injuries hampered his four years at Easter Road and he was eventually forced to retire professionally in 1994 at the age of 31. He went into the junior ranks with Kelty Hearts and joined the police, appearing for the Scottish Police team. Dave was born on this date in Edinburgh. From the moment Paul Hegarty headed in United's opening goal the final outcome was never in doubt as United demolished an over physical Austrian side. 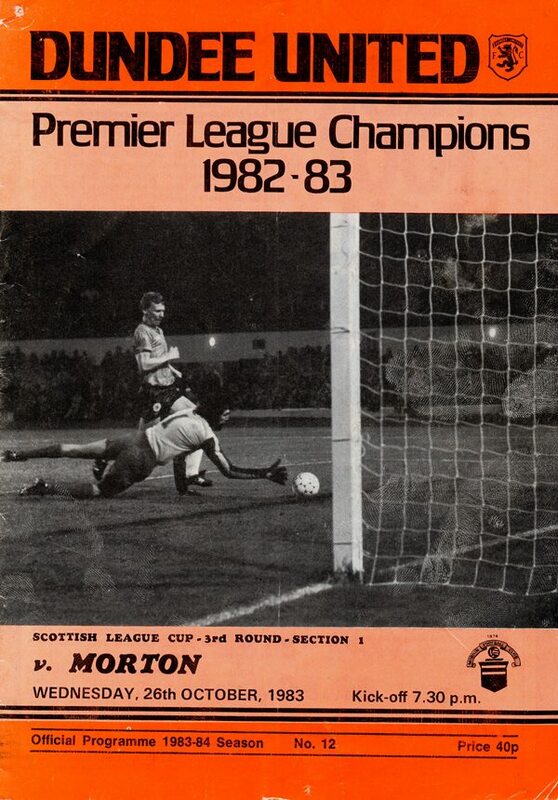 Before this match manager Jim McLean stated that the only way to play Rangers at Ibrox is to try and get forward. Well, that is exactly what we did because apart from scoring, Nicky Walker pulled off three tremendous saves and captain Maurice Malpas was desperately unlucky to see a shot scrape past the wrong side of the post. 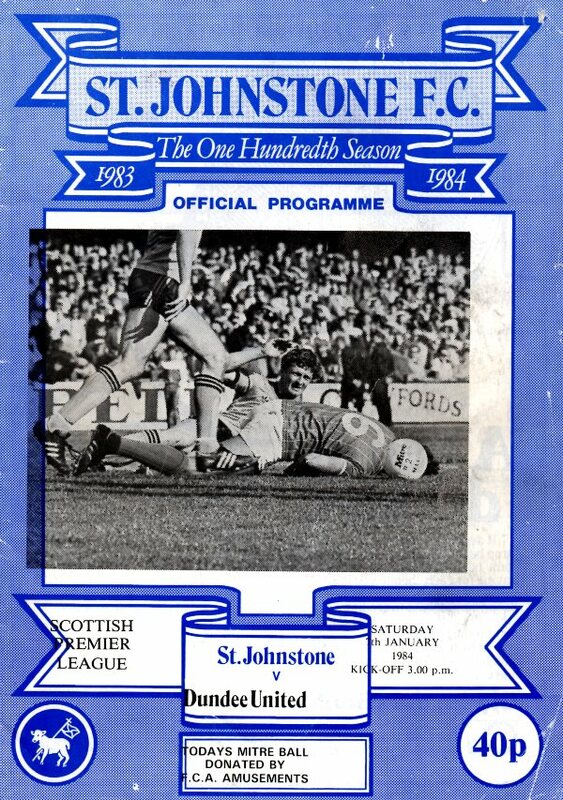 Against this Rangers had plenty of possession but when analysed could only muster an Andy Gray shot which Billy Thomson had to actually save! We emerged from the third derby of the season with a 100% record in tact after the closest of the three encounters so far. After getting off to a good start in the early stages, Dundee counter-attacked taking full advantage of both slope and wind, however they failed to really test Billy Thomson.